After two drastically different semifinals, the final Davis Cup final under the classic format is set as France will look to win a second consecutive title when they meet Croatia, who had to battle to reach another final. In a year, the tour’s best will have this week off. But with the Davis Cup format change still a week away, the World Group semifinalist and playoffs put the stars on display fighting for their country. The final Davis Cup final under the current format, as well as the field for February’s playoffs, is now set after a weekend of high-quality tennis. 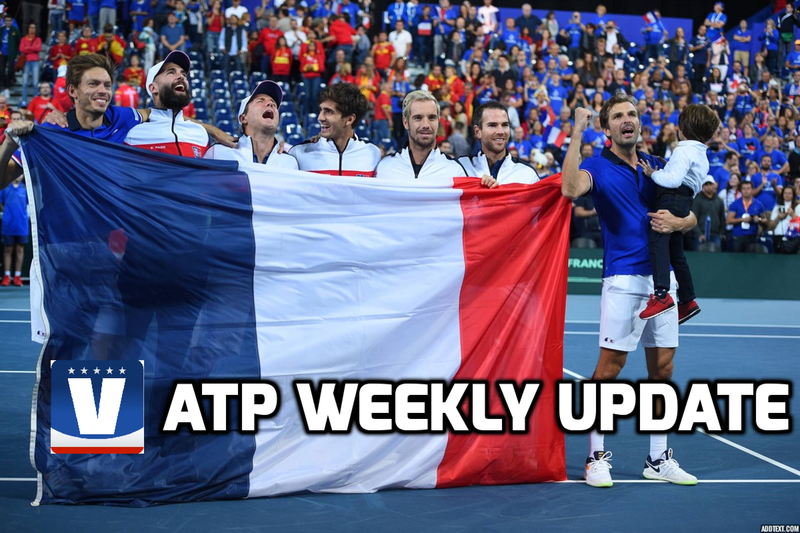 Here is your ATP Weekly Update for week 37 of the 2018 season. And then there were two. 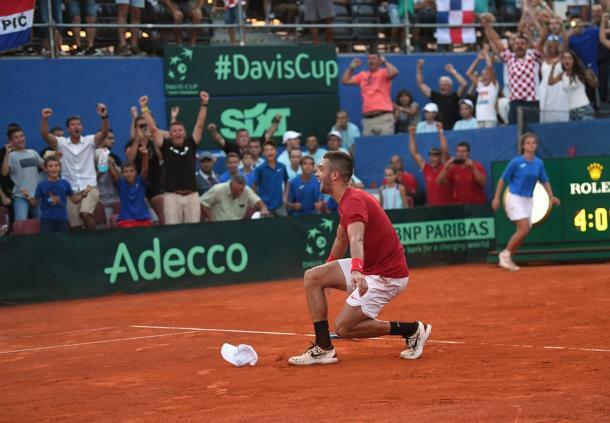 France will look to become the first country since the Czech Republic in 2012-2013 to win back-to-back Davis Cup titles after defeating Spain in the semifinals this past weekend. The French came out quickly and won the first three rubbers to seal the tie on Saturday, winning two in straight sets as well as an epic five-set win by Lucas Pouille. In an up-and-down tie, Croatia managed to advance to their second final in three years with a 3-2 win over the United States. The Croatians came out swinging, taking a 2-0 lead with a pair of straight-set wins from Marin Cilic and Borna Coric. But the Americans cheated death in a nearly five-hour semifinal that needed four tiebreaks, including in the fifth set, to make the third day count. The big doubles win shifted the momentum to the Americans as Sam Querrey, who replaced Steve Johnson in the reverse singles, upset Cilic before Frances Tiafoe took a two-sets-to-one lead in the deciding rubber against Borna Coric. In the end, the American could not keep it up and the home favourite roared back for a five-set win and a spot in the final. In playoff action, seven of the six host nations were victorious, with Argentina, Great Britain, Austria, Serbia, Canada and Japan all coming out on top on home soil. Sweden and the Czech Republic each claimed victory in road ties in the fifth and final rubber. The two road winners were the only teams who needed all five rubbers to win. The highlights of the playoffs came from Dominic Thiem and Denis Shapovalov. 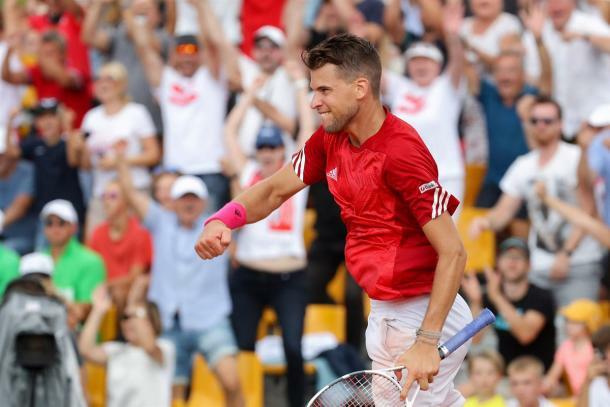 Thiem’s two singles wins to help Austria upset Australia 3-1. 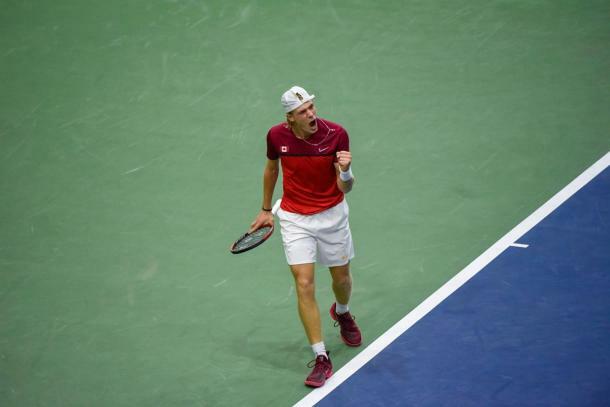 Shapovalov pulled an epic comeback in his singles rubber from two-sets down, saving break points at 5-all in the third set before rallying for his first career 0-2 comeback to avenge his Rogers Cup loss to Robin Haase, giving Canada a 2-0 lead after day one. They went on to win 3-1. As Davis Cup points don’t take effect until November, there were no significant changes in the rankings. There were no changes in the Race to London. The tour begins its shift into the final phase with a pair of 250-level indoor events on the schedule, as well as another major team event. Dominic Thiem is the lone top-ten player in tour action this week, leading the field at the St. Petersburg Open. The Austrian played some of the best hard-court tennis of his career back at the US Open, very nearly taking out world number one Rafael Nadal in an epic quarterfinal. He is the top seed and will be the heavy favourite to win his first hard-court title since February 2016. Damir Dzumhur will return to defend the title. Last year, the Bosnian won his maiden title in St. Petersburg, defeating Fabio Fognini in a three-set final. Dzumhur will be seeded sixth this year, while Fognini, the other top-20 player in action, is seeded second. He is followed in the seedings by fellow Italian Marco Cecchinato. The young guns will be well represented, with Karen Khachanov (4), Denis Shapovalov (7), and Daniil Medvedev (8) all seeded. Roberto Bautista Agut is the fifth seed, while Stan Wawrinka, now back up to number 88 in the world, lurks as a wildcard. Three of the world’s top-20 will head to northern France for the Moselle Open. US Open semifinalist Kei Nishikori will look to continue his advance back towards the top ten as the top seed in Metz. He is joined by young gun Stefanos Tsitsipas, who has his highest ever seeding at an ATP tour event at number two. The Greek will be looking to bounce back after consecutive early losses following his finals run at the Rogers Cup in August. 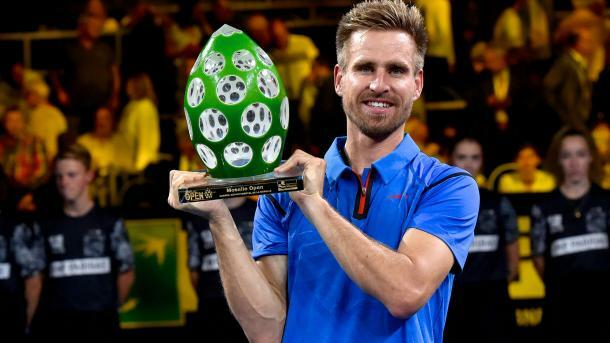 Last year, German Peter Gojowczyk put a stop to a ten-year run of Francophone champions in Metz (nine champions from France, with French-speaking Belgian David Goffin winning in 2014) by claiming the only title of his career. The German is back to defend his title, but unseeded at this year’s event. A large French contingent will be looking to reclaim their title on home soil. That includes the seeded Frenchmen, led by world number 19 and 2016 champion Lucas Pouille, who is seeded third. Richard Gasquet (4) and Adrian Mannarino (6) are also seeded. In total, there are ten Frenchmen in the draw, including three-time champion Jo-Wilfred Tsonga and two-time champion Gilles Simon. The second edition of the Laver Cup will see Europe step onto enemy soil in Chicago to defend their crown against the world’s best. The three-day event will run from Friday to Sunday featuring singles and doubles matches of increasing importance each day. 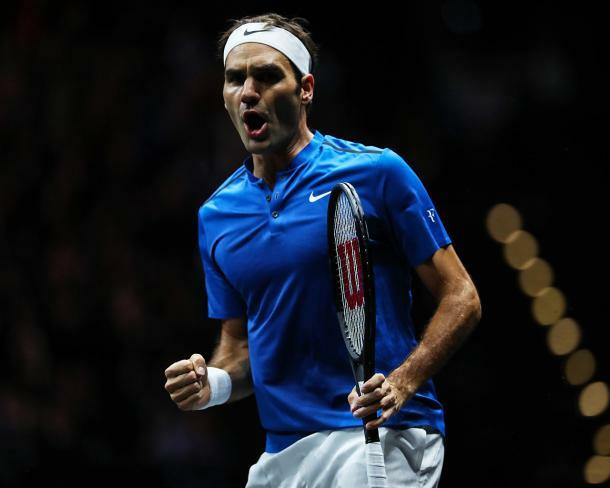 Roger Federer is the only Team Europe member returning, although he still has a strong team behind him as one of four top-ten players on the team. Along with Federer, Team Europe features world number three and two-time major titlist in 2018 Novak Djokovic, number five Alexander Zverev, and number seven Grigor Dimitrov. Number 11 David Goffin and 16 Kyle Edmund round out the squad captained by Bjorn Borg. This year, John McEnroe is sending forward a far stronger World team led by US Open runner-up and world number four Juan Martin del Potro. Last year, the World’s highest ranked player was number 16 Sam Querrey. This year, four of their members are higher-ranked than that. Del Potro will be joined by Kevin Anderson (9), John Isner (10), and Diego Schwartzman (14), as well as Jack Sock and Nick Kyrgios. Isner, Sock and Kyrgios were all on the team last year.